I loved Scarlett's relationship with her family, especially the tight bond with her older brother, Spencer. The chara...more Scarlett Martin's large family runs and lives in the Hopewell Hotel in Manhattan. The Hopewell has seen better days and the family will do what it takes to keep the business afoot. Scarlett feels like the only one of her friends who actually stayed in Manhattan for the summer. But she won't be bored long, thanks to a new guest, the glamorous Mrs. Amberson, checking in. Bottom Line: Overall the book was very entertaining with no slow parts. The subject was unique and not at all predictable. A lus h, epic historical novel by bestseller Celia Rees, with an added Shakespearean twist. Young and beautiful Violetta may be of royal blood, but her kingdom is in shambles when she arrives in London on a mysterious mission. Her journey has been long and her adventures many, but it is not until she meets the playwright William Shakespeare that she gets to tell the entire story from beginning to end. Violetta and her comic companion, Feste, have come in search of an ancient holy relic that the evil Malvolio has stolen from their kingdom. But where will their remarkable quest—and their most unusual story—lead? In classic Celia Rees style, it is an engrossing journey, full of political intrigue, danger, and romance. This wholly original story is spun from Shakespeare’s Twelfth Night, and includes both folly and suspense that would make the Bard proud. This historical novel from a great author sounds awesome to me! Shakespeare with a twist is always intriguing! I love the cover as well. I received this one just in time for Christmas! I'm halfway through, review to come shortly! I've heard such great things about this series! I can't wait to read it! I will be writing my review ASAP!! I feel like I've been reading a little slower this week, there's been so much holiday planning to do!! Hopefully next week I'll have more time to read! Only one book this week, but it's one I've really been waiting for!! I can't wait to read this one! What did you get in your mailbox this week? 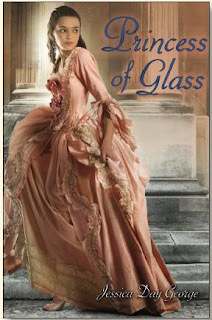 The engrossing companion novel to Princess of the Midnight Ball, with a wicked twist on Cinderella. Hoping to escape the troubles in her kingdom, Princess Poppy reluctantly agrees to take part in a royal exchange program, whereby young princes and princesses travel to each other’s countries in the name of better political alliances—and potential marriages. 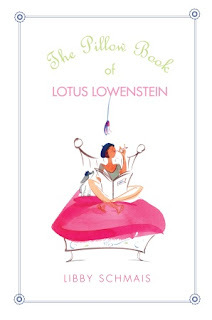 It’s got the makings of a fairy tale—until a hapless servant named Eleanor is tricked by a vengeful fairy godmother into competing with Poppy for the eligible prince. Ballgowns, cinders, and enchanted glass slippers fly in this romantic and action-packed happily-ever-after quest from an author with a flair for embroidering tales in her own delightful way. I love fairy tale retellings and this version of Cinderella looks like so much fun! I've been wanting to read something by this author for a long time! It's my first time participating in Teaser Tuesday! I just love the book I'm reading right now so much, I want to get the word out there! 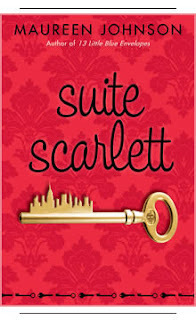 Many of you might have already read it, it's Suite Scarlett by Maureen Johnson. 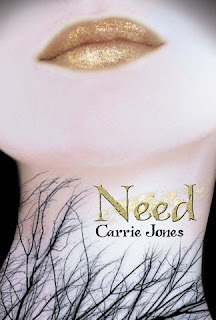 Share the title & author, too, so that other TT participants can add the book to their TBR Lists if they like your teasers!" "Against all odds, this plan worked for two entire nights. Either the gods were smiling on them for once, or their basement was truly the place where no one could hear you scream." I can't wait to read all of your teasers this week! 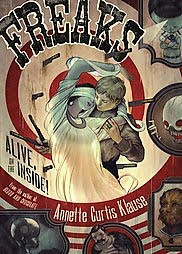 "Freaks: Alive on the Inside"
Abel Dandy is the only "normal" person at Faeryland, a circus of oddities, or Freaks, at the turn of the century. Even his doting parents are freaks. Abel's only hope for being in the show instead of being an errand boy, is to hone his skills as a knife thrower. He's always wondered what it would be like on the outside, to be like everyone else instead of being the odd one out. I loved the characters in this book. Abel was a strong main character, he never failed in his support of the people who were family to him, but bashed by the rest of society. All of the supporting characters were based on real circus acts from history. 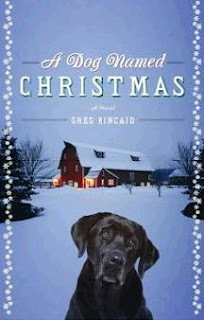 My favorite character was Apollo, the 12 year old puppy boy, who followed Abel when he ran away. He wanted to escape his abusive father and looked up to Abel. Apollo's wide-eyed innocence and optimism was quite similar to an actual puppy and he was a lot fun to read about. The mysterious ring and the dreams that Abel had about the beautiful girl seemed somewhat disjointed from the rest of the story. The way that his dream girl reveals herself at last is very odd and wasn't believable to me. I would have rather had the entire book be about the circus and Abel's adventures on the road. I picked up this book for the cover, and my appreciation for the artwork grew as I read the book and realized what all of the elements represented. 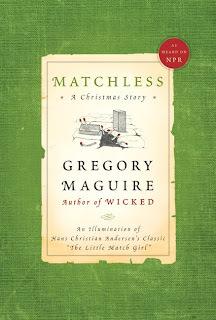 I love a cover illustration that is truly made for a specific book instead of a manipulated stock photo. All of the main characters and story elements are woven together in this gorgeous illustration. Bottom Line: This was a very unique, enjoyable read with a great message and colorful cast of characters. This is my first time participating in this great meme from J. Kaye's Book Blog! 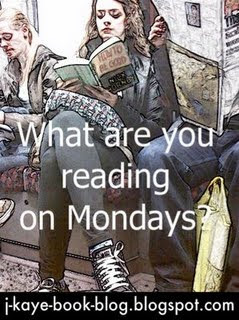 What are reading this week?? 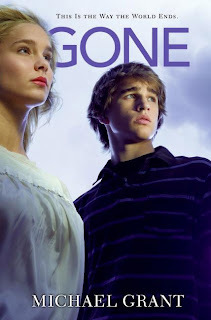 The paperback version of this, by one of my favorite YA authors! I found a great hardback version of this one. I've never read anything by this author, but I've heard only good things! I will admit I picked this one up because of the fantastic cover illustration! I finished this today and will be posting my review ASAP! I also have "Blood and Chocolate" by this author but haven't read it yet. "Mrs. O: The Face of Fashion Democracy"
I won "Mrs. O: The Face of Fashion Democracy" in a Goodreads.com First Reads contest. I really enjoyed reading this book for the gorgeous photos and fashion ideas. The book is a beautiful, classy homage to the First Lady, Michelle Obama. I think the theme of the book can be summed up with a phrase I found in one of the later chapters, "style and substance." The majority of the book, of course, focuses on Michelle Obama's style, but there is respect for who the woman really is who is wearing the clothes. The high quality photos in the book are gorgeous and the quality of the book itself is fantastic. Yes, a lot of the information and photos could probably be found on the website that inspired the book, Mrs-O.org, but the presentation and qualilty of the book is impressive. I learned some great facts about Mrs. Obama's fashion choices. She likes to mix high end pieces with affordable pieces from accessible stores and catalogs, and especially online stores. I had also heard that, like the rest of us, she has been known to repeat outfits from her wardrobe, but I had no idea how often she has done this. It's so refreshing to read that she doesn't just make a fashion statement once with an outfit and never wear it again. I liked the timeline of the chapters and the photos of some of the wardrobe pieces are so detailed! I also enjoyed the interviews with the designers and stylists with whom Mrs. Obama has worked closely with. These interviews were relevant to the book as opposed to the times that the author would write paragraphs about a specific designer's career history. These excerpts seemed totally unrelated to the rest of the book and were out of place. It was great to read an interview with Micheal Kors about his reaction to Michelle Obama wearing his dress in the official First Lady portrait. But I don't need to know about the early career of a designer that she wore once or twice. 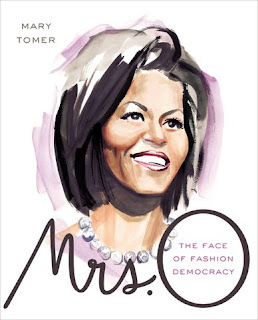 Overall, this is a beautiful book that would be a great gift to a fan or supporter of Michelle Obama and also a fantastic book for fashion enthusiasts. I so excited! I received my first blog award today from Ursina at The Farmer's Daughter's Bookshelf! 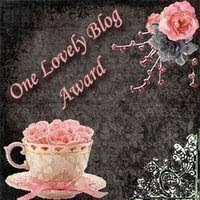 Thank you so much, Ursina, for the One Lovely Blog Award! "So here are the rules: Accept the award, post it on your blog together with the name of the person who has granted the award, and his or her blog link. Pass the award to 15 other blogs that you've newly discovered. Remember to contact the bloggers to let them know they have been chosen for this award." I choose these 15 Lovely Blogs!! Thank you again to Ursina at The Farmer's Daughter's Bookshelf! I really appreciate the award! Enjoy checking out these Lovely Blogs! 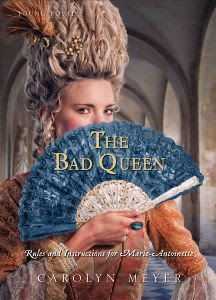 "The Bad Queen: Rules and Instructions for Marie Antionette"
History paints her as a shallow party girl, a spoiled fashionista, a callous ruler. Perhaps no other royal has been so maligned--and so misunderstood--as Marie-Antoinette. From the moment she was betrothed to the dauphin of France at age fourteen, perfection was demanded of Marie-Antoinette. She tried to please everyone--courtiers, her young husband, the king, the French people--but often fell short of their expectations. Desperate for affection and subjected to constant scrutiny, this spirited young woman can't help but want to let loose with elaborate parties, scandalous fashions, and unimaginable luxuries. But as Marie-Antoinette's lifestyle gets ever more recklessly extravagant, the peasants of France are suffering from increasing poverty--and becoming outraged. They want to make the queen pay. In this latest installment of her acclaimed Young Royals series, Carolyn Meyer reveals the dizzying rise and horrific downfall of the last Queen of France. I've really enjoyed the other books in Carolyn Meyer's Young Royals Series, and this one looks just as great! I also love all things Marie Antionette, as you can tell by my blog layout, so this is a must-have for me! Isn't this cover amazing?? What are you waiting for this week? Today is Tuesday, which means New Releases!! Here are a few books that have just been released today, so run, don't walk to the nearest bookstore! There 's something achingly familiar about Daniel Grigori. Zara collects phobias the way other girls collect Facebook friends. Little wonder, since life’s been pretty rough so far. Her father left, her stepfather just died, and her mother’s pretty much checked out. Now Zara’s living with her grandmother in sleepy, cold Maine so that she stays “safe.” Zara doesn’t think she’s in danger; she thinks her mother can’t deal. With suspense, romance, and paranormal themes, this exciting breakout novel has readers rapidly turning the pages. Enjoy the new releases, everyone! Feel free to comment with any other new releases you'd like to add! I've been wanting this autobiography for quite some time, have any of you read it? Can't wait to start reading! Next up, a blast from the past! I'm so excited to have swapped not one but two classic Sunfire teen romances this week! If you have never read a Sunfire romance, you are missing out!! They are classic teen romances from the 80s/early 90s each set in a different historical time period, with a strong teen heroine and two handsome young men vying for her heart! I read this book because of all the great reviews of Meredith Duran's writing. But after struggling to finish, I realized this book was just not for me. Duran is an excellent writer, and wrote a very well developed plot, but I didn't care for the descriptive violence that permeated the book. At the start of the book, Emma Martin has been through a tragedy, the first of many, and emerged wanting to truly live life. Julian Sinclair, the Duke of Auburn, feels at home neither in India or in London, as a son of both worlds. The last thing they expected was to be caught up in the political turmoil between Britain and India with only each other. They survive the unthinkable together, but ultimately are separated by the political unrest. Years later, they are reunited in London, only to discover how much they both have changed. The book is split into two parts, and the first part was more promising than the second. The second book didn't tell me enough from Julian's viewpoint, the only side of the story I saw was Emma's. Julian was downright mean and cruel to Emma, and since I didn't see his point of view, I didn't understand his motives. 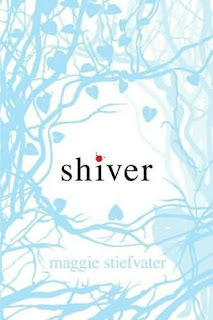 Honestly, his cruelty might have been the breaking point for me, where I just completely stopped enjoying this book. In the first part, Julian was loving, caring, and kind to Emma, and wanted her to know how much he loved her. In the second part, he was constantly mocking her and condescending. The only part of the second half that I liked was the storyline with Emma's paintings. She worked through her grief by painting the horrors that she had seen. I didn't think the cold, dark secret she was keeping was something that she couldn't share with Julian after everything that they had been through together. I am a sucker for a reunion story, and the actual reunion scene in the London ballroom was by far my favorite scene of the book. This is the Julian that I wanted to see through the entire book, so caught up in his love for Emma that the rest of the world disappears. This book is very dark and filled with tragedy and violence. When the couple does let their love show, the result is beautiful and tender. However, these moments are just too few in my opinion. 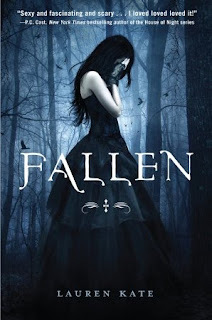 My mini reviews are short, sweet reviews just long enough to give you an idea of what I thought about a book, they usually don't include a summary like my regular reviews. Take a minute or two and enjoy! "What Happens in London" has so many rave reviews, that maybe my expectations were a little too high. 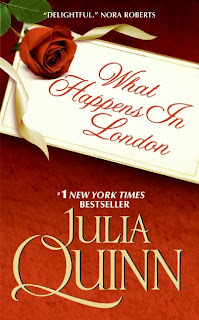 I do think Julia Quinn's writing style is excellent, so much thought goes into every single page. The main characters' witty banter and snappy inner dialogue were so much fun to read. I absolutely loved the supporting character, Sebastian! He was just too much fun to read about, especially his love for the silly "Ms. Butterworth" novel. He was such a vivid character who just jumped off the page for me. However, I was less than thrilled about the actual romance in this book. I just felt no connection between Harry and Olivia, and when they started to fall in love, I thought it came across as forced and cheesy. I know, I know, I'm in the minority in thinking this, but I really did think the book was funny and witty, just not very romantic. I can't wait for Sebatian to get his own book! 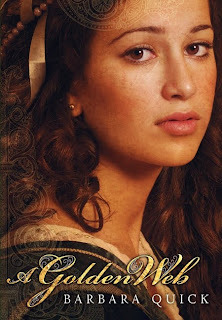 Alessandra is desperate to escape—from her stepmother, who’s locked her away for a year; from the cloister that awaits her if she refuses the marriage plans that have been made for her; from the expectations that limit her and every other girl in fourteenth-century Italy. There’s no tolerance in her village for her keen intelligence and her unconventional ideas. In defiant pursuit of her dreams, Alessandra undertakes an audacious quest, her bravery equaled only by the dangers she faces. Disguised and alone in a city of spies and scholars, Alessandra will find a love she could not foresee—and an enduring fame. In this exquisite imagining of the centuries-old story of Alessandra Giliani, the world’s first female anatomist, distinguished novelist Barbara Quick gives readers the drama, romance, and rich historical detail for which she is known as she shines a light on an unforgotten—and unforgettable—heroine. 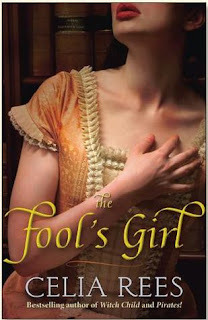 I love historical fiction, especially those with a little bit of romance! And ones that are based on historical fact are even better! What are you waiting for this week? ?